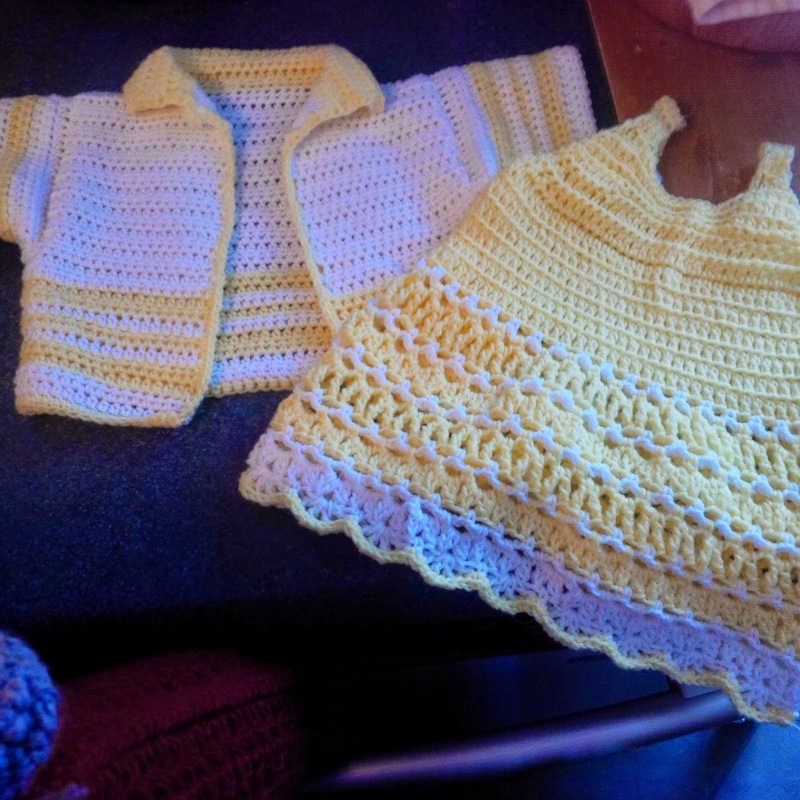 This baby sun dress and jacket was created for a little girl, size 6-12 months. It is meant to be worn with a pair of tights and could also be pared with a t-shirt. The yarn is a soft thin pale yellow and bright white and crocheted together to make a light summer outfit. This outfit can be customized to suit any colour palate and make a great gift to bring to a baby shower!